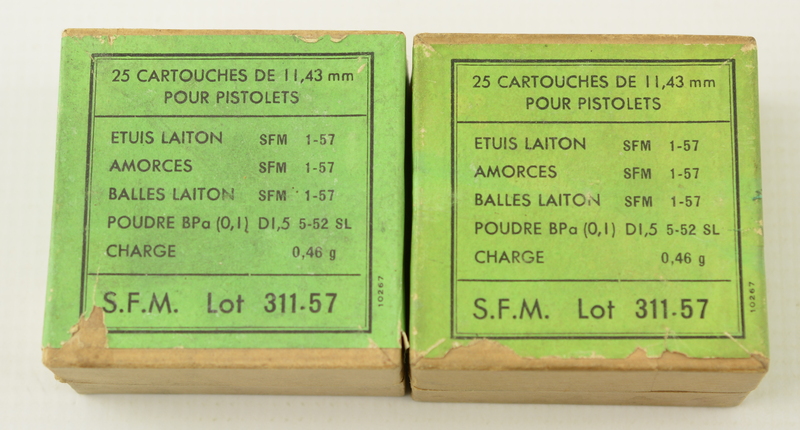 Description: Lot of 2 full 25 rounds boxes of 11.43 mm (45 ACP) loaded at Societe Francais De Munitions at their Issy-Les Moulineaux plant in 1957 from 1-57 produced components. The powder used was from 1952. 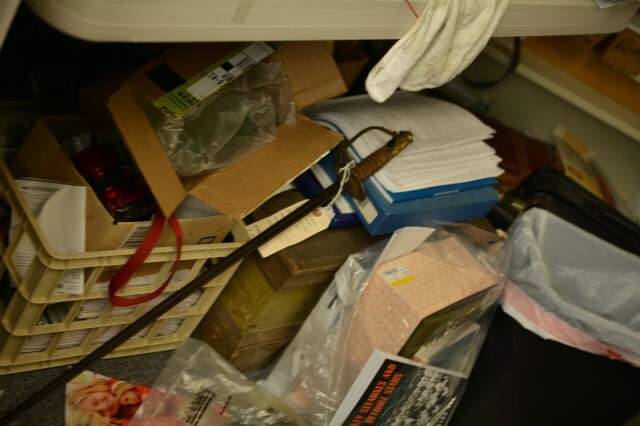 Boxes show slight shelf wear and light soiling . 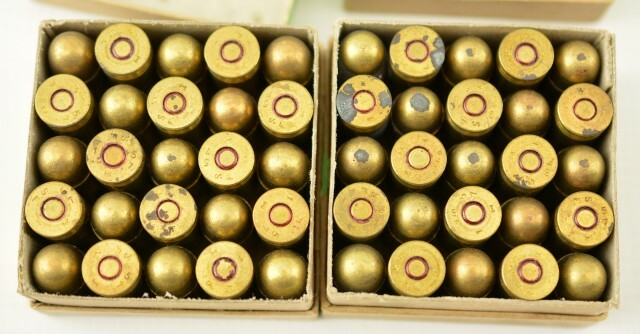 The ammo has SFI 1 57 head stamps and has light tarnish on some rounds.